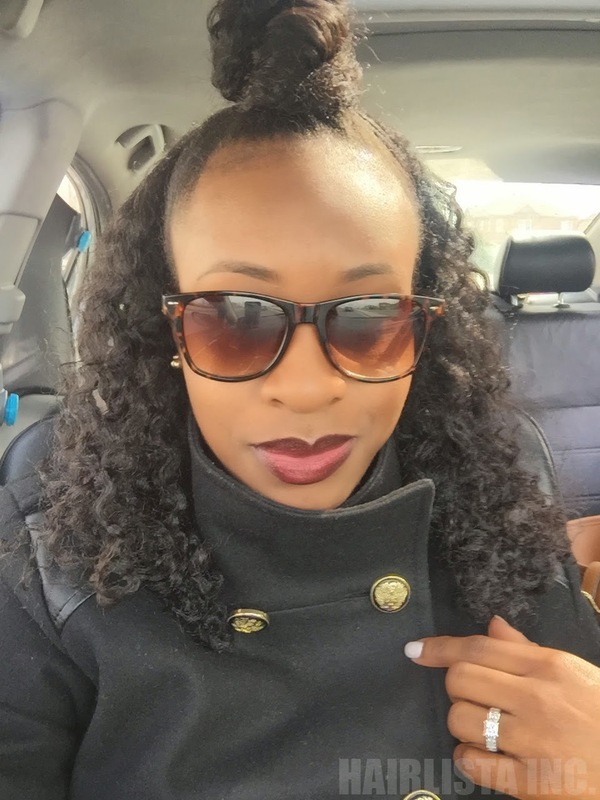 April 2015 - Hairlicious Inc. It's that time of year where Spring Cleaning is a must! 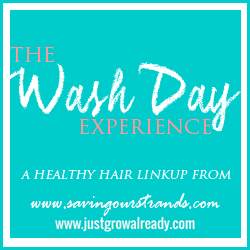 Why not start with hair care - right? 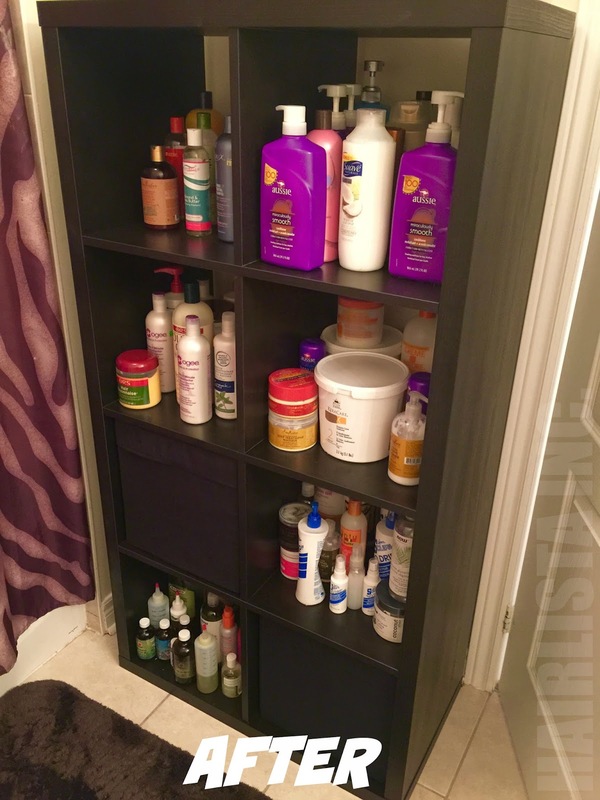 So I have this "leaning tower" of hair products in my bathroom that simply get's on my nerves every wash day, no actually, every time I walk into the bathroom!! The drawers are so packed (notice my son's toys in there too), they cannot close - or open properly for that matter. 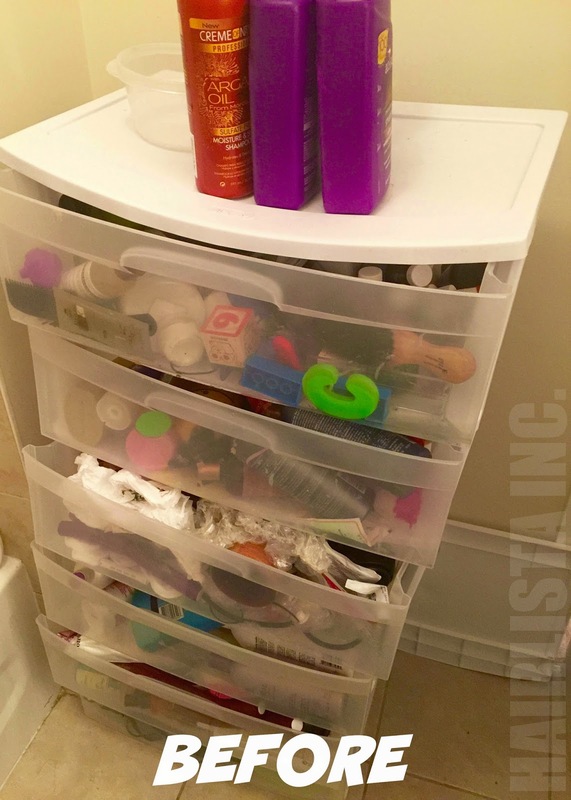 Since my products cannot stand up right, they tend to leak out into the drawers causing a huge mess - thus wasting product :( The struggle is real!!! So this past weekend, I made it my mission to grab some new shelving and put this struggle to rest! I took myself to Ikea and picked out the KALLAX Shelving Unit to fit all my products! I liked this unit because the shelves are deep - not shallow - allowing me to store more product per shelf. I'm so happy to see the new set-up. It was well overdue. I'm proud to say that my products have a new home!! Not to mention, wash day is a much more pleasant experience since I can easily access my products and more importantly nothing is leaking out! So far I'm loving my new shelving. I've organized my products by category i.e. shampoos, co-wash conditioners, protein treatments, moisture deep conditioners etc. if you haven't noticed :) Organization is key!! I love how functional my shelf is now - plus it's a time saver and it looks much more appealing to the eye! Have you done your product spring cleaning? 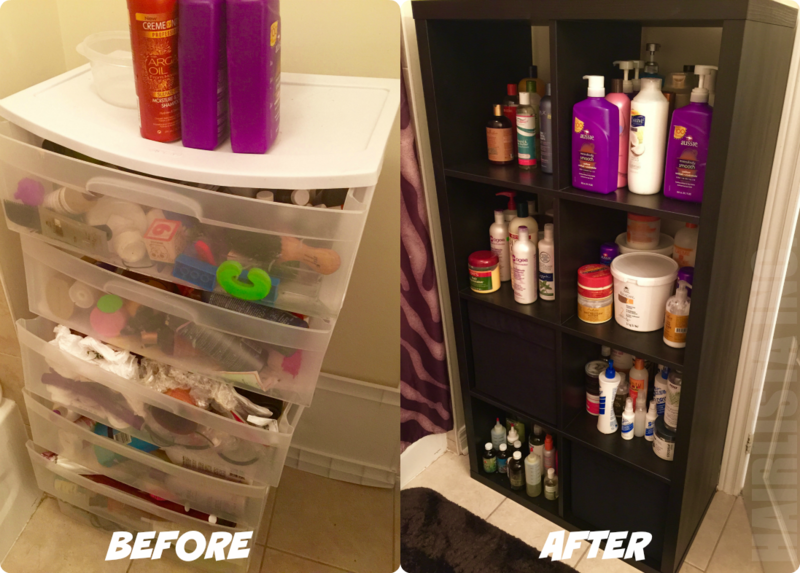 Where do you store your hair products? Coconut oil mixed with my protein reconstructor are my "go-to" combination when I'm due for a protein treatment. I apply my protein treatments once a week (typically on Sundays) on dry hair for 20 minutes with heat. Using protein on a weekly basis has assisted in my hair growing strong allowing me to retain length and increase the thickness of my hair. The reason why I frequently use Coconut oil, specifically on my dry hair, is because Coconut oil prevents hair damage - period!! Not only does Coconut oil smell so good, it stops protein loss, prevents split ends, reduces hygral fatigue, prevents breakage due to manipulation and it penetrates deep into the cortex to fortify and strengthen the hair! I mix 1-2 tsps of Extra Virgin Coconut oil along with 4-5 tbsp of my protein reconstructor to cover my hair from root to tip. 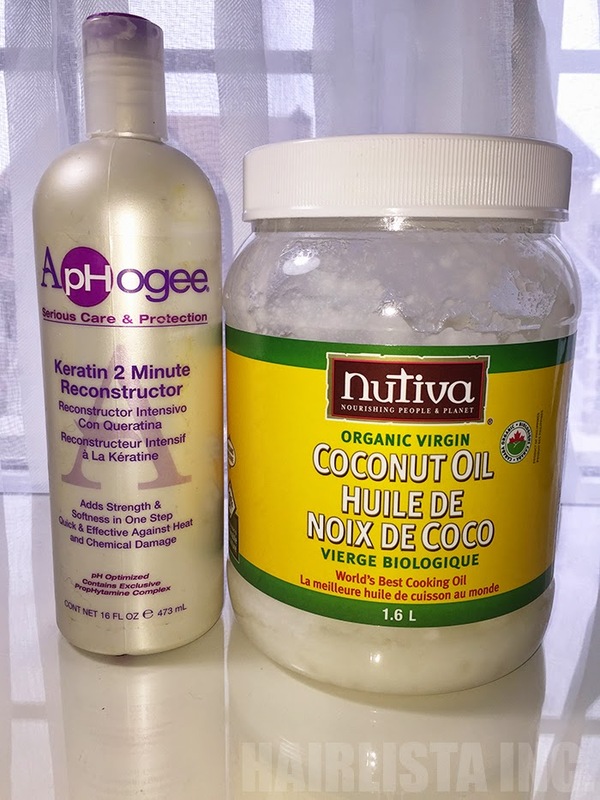 Since I apply coconut oil to my dry hair, and then shampoo after, the Coconut oil naturally aids in preventing my hair from swelling and contracting when water is entering and leaving my hair shaft. It's absolutely one of my favourite penetrating oils. To make it even better, I like to add it to my protein reconstructors for double the benefits! So not only am I getting the benefits from my Coconut oil in preventing damage, my hair is also absorbing the Hydrolyzed Keratin protein from my reconstructor, which does a great job in strengthening my chemically processed strands against breakage! 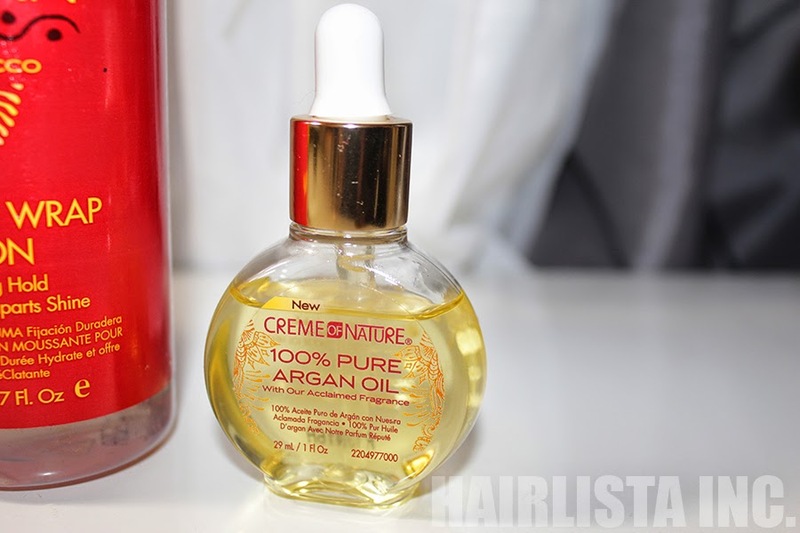 What Oil + Conditioner (protein) combination works best for your hair? Hey everyone! My name is Texlaxedcutie and I love to post informative tips and document my hair journey on my instagram! I was born in New York. As for my culture/ background, I am of West Indian heritage and have parents who are Guyanese and Barbadian. I would describe my hair as high-maintenance, although I love it for that particular reason! If I had to put my hair in any category, in its natural state, it would be 3c (and 4a in some spots). My hair is naturally very thick and probably the healthiest it's ever been in all the years of my hair journey! I am also recovering from a big set back in my journey. 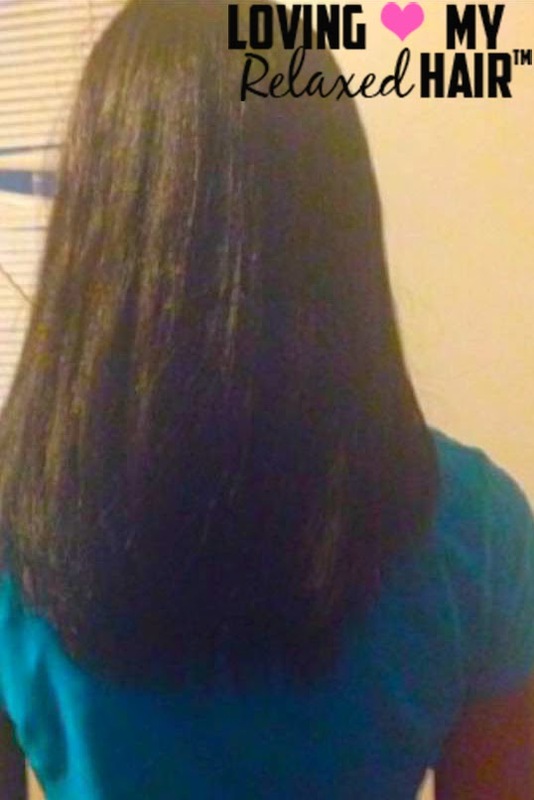 Last summer I cut my hair from mid back length to shoulder length! But I am definitely back to my original length but my hair is much thicker and healthier! I'm very exited to reach my goal of waist length. My hair is anywhere between bra-strap and mid back length - I'm not completely sure because I haven't straightened it in about 8 months. I do plan on clearing that up next relaxer which will be in May! 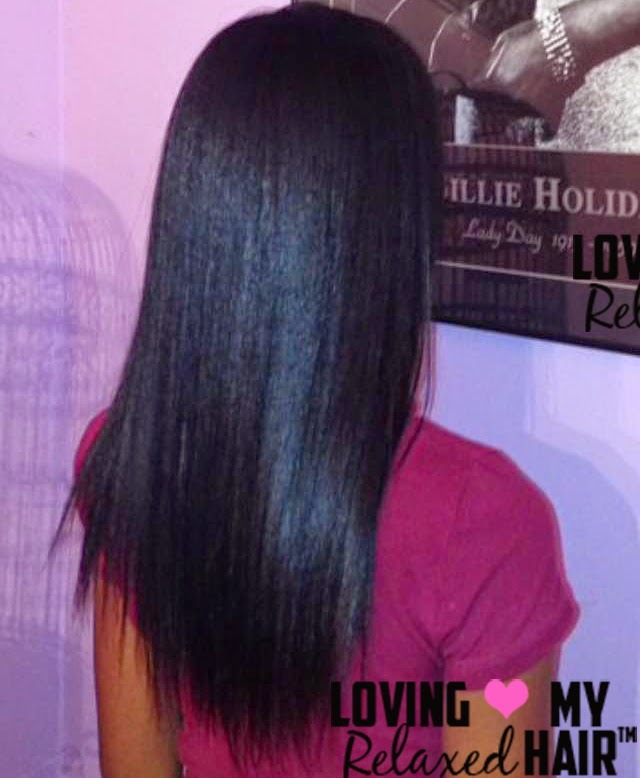 I started my relaxed hair journey when I was 14 and discovered youtube and wonderful hair forums like Hairlicious Inc.! 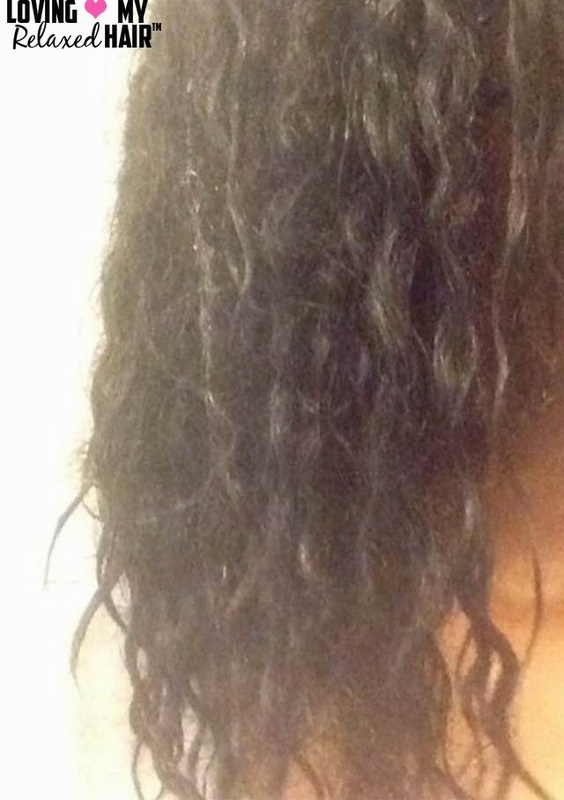 I was so determined to have long relaxed hair because I was extremely bored with my shoulder length relaxed hair. It was then that I devised a healthy hair regimen that I still use today! I start my regimen by detangling my hair and prepooing with EVOO (Extra Virgin Olive Oil). I then rinse out the oil and proceed to cleanse my hair with a moisturizing shampoo. Then I whip up my favorite concoction of ORS replenishing pak, EVOO and coconut oil and sit under my Huetiful hair steamer for about 40 minutes. After I rinse that out, I t-shirt dry for 30 minutes and apply my leave in and style. My go to hair style is a braidout but I also love buns and curl former sets. I only texlax my hair two to three times per year and my favorite relaxer is Creme of Nature Straight from Eden relaxer in formula B. The number one hair tip I would pass on to other relaxed ladies would be to "baby your ends!" If length is the goal, you'll love this tip because it's easier to retain length. 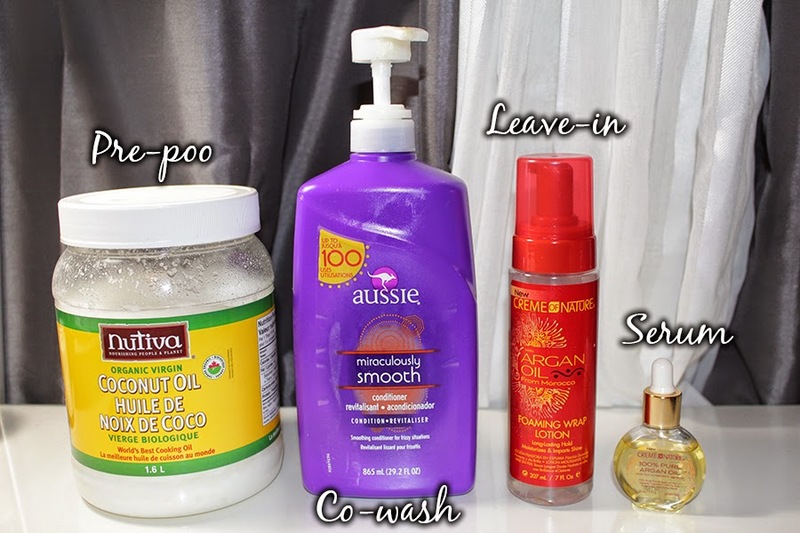 The best way to do this is to apply extra product to your ends and "baggy" them after you moisturize and seal. I do not feel pressure to go natural because I am head-over-heals in LOVE with my texlaxed hair! I think the natural hair movement is great, I love seeing big, beautiful natural hair pictures on my Instagram! But it's not for me at this time because I love the versatility of my texlaxed hair. I can have sleek straight hair one day, a loose curly wash n go another or rock my big voluminous braidout the next! I choose to stay relaxed because, like I said, my hair is high-maintenance, as it is, and I do not have the time right now to care for my natural hair properly. I am totally comfortable with my hair right now and do not plan on stepping out of my comfort zone any time soon! The texture, versatility and the therapeutic nature of caring for it! 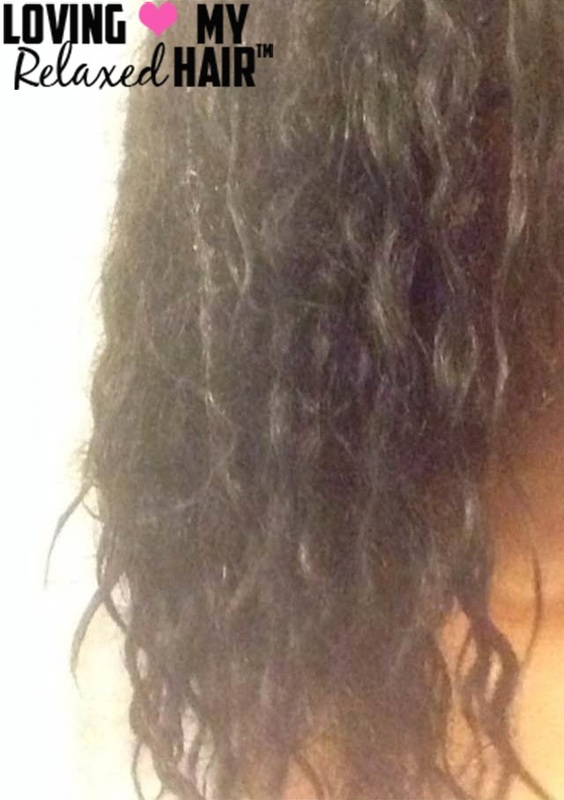 I love everything about my texlaxed hair! I've been using this conditioner on and off for the past few months. It has become one of my favourite "go-to" deep conditioners. If you haven't already, be sure to check out my review!! 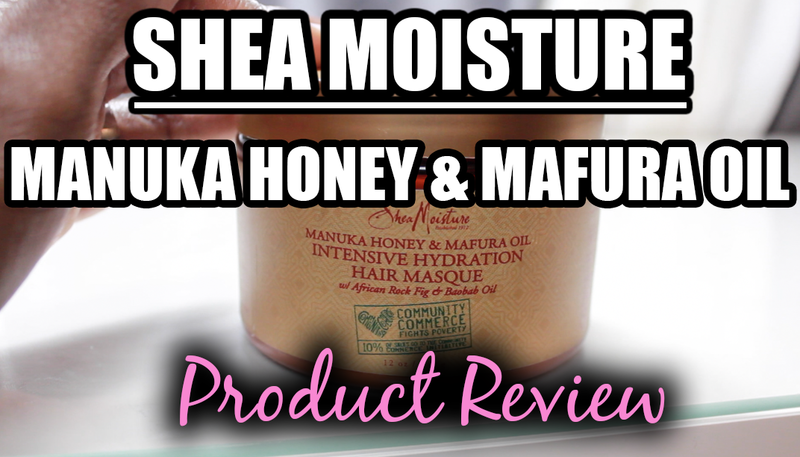 Here is the link to my written review on the Shea Moisture Manuka Honey & Mafura Oil Intensive Hydration Masque.